When HMD Global initially brought the iconic Nokia 3310 back from the dead, the device was quite bare-bones and only connected to a limited number of 2G bands. However, due to the rise in demand, the company released a 3G version of the device soon thereafter. While the Nokia 3310 3G is a more capable device, compared to the 2G variant, it still wasn’t future proof. About a month ago, a 4G variant of the Nokia 3310 was spotted on Chinese regulatory authority TENAA’s website. 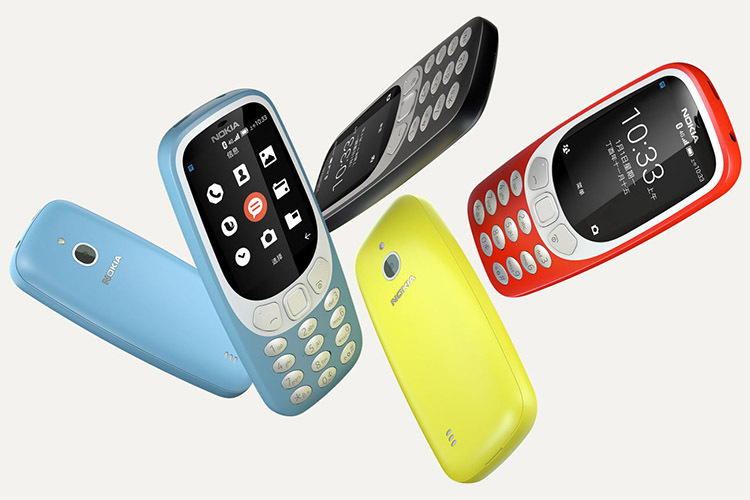 Now, the company has officially unveiled the Nokia 3310 4G in China. The device was unveiled rather discretely and was just listed on Nokia’s official website. Reports reveal that the company has partnered with China Mobile to sell the new model in the country. As of now, HMD Global has released no information regarding price and global availability of the device, but the company is expected to address that at the Mobile World Congress event in Barcelona, Spain, next month. According to the website listing, the Nokia 3310 4G will be available in two color options- Fresh Blue and Deep Black. Unlike the 2G and 3G variants, the Nokia 3310 4G is powered by YunOS, a modified version of Android developed by China’s Alibaba. The devices features a 2.4-inch QVGA (240x320p) display, coupled with 256MB RAM and 512MB of onboard storage. The device also sports a microSD card slot which enables expansion up to 64GB. For image capture, the device also sports a 2MP camera paired with an LED flash. To power the device, HMD Global has included a 1,200mAh battery which is rated for five hours of talk time on a 4G LTE network and 16 hours of continuous music playback on a single charge. For connectivity, the handset comes with support for 4G VoLTE, WiFi 802.11 b/g/n, and Bluetooth 4.0. The device also retains its 3.5mm headphone jack, which adds onto the nostalgia factor.